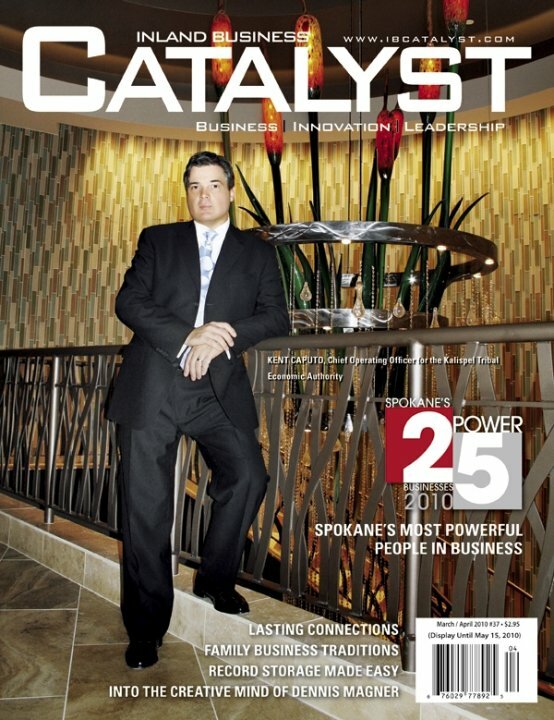 This was a published feature article I wrote for Inland Business Catalyst (2008). The economy was sliding and Starbuck's stock had plumated. Howard Schultz returned to save the brand he helped build. Unfortunately, he is still working at it. There seams to be a lot more passion and drive in a "rags to riches" story than a "riches to riches" story. Though I sent the letter and magazine to him, I received no reply. Starbucks did follow some of the suggestions I made that I'm sure many analysts suggested as well. Things have gotten a little out of focus in your absence. But now you're back, I need to tell you, I'm still concerned. The stray from Starbucks has little to do with the price and everything to do with the experience. 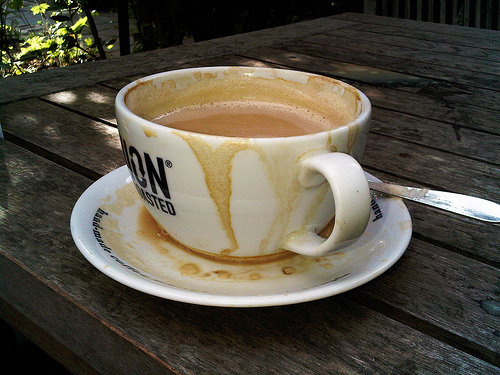 If Starbucks can recapture the coffee house experience, the price will be of minor importance. Lowering the price without recapturing the coffee house experience is simply just selling coffee for less. With the stock being down, this move appears to be a panic. The original in decor, indigenous to the area coffee shop, is still in demand. They are opening up everywhere. Unfortunately, it's the competition that is capitalizing on Starbucks becoming cookie-cutter-like and mundane. I hate to say it....newer SBUX look like fast food chains with better interior paint colors, complete with drive thru speaker boxes. This is not my Starbucks! I have a confession to make, I am writing this from Cafe Dolce, a new indy cafe in downtown Spokane, WA. Sure there are several Starbucks close by, but the lure of this refurbished historic building with exposed brick walls, uneven hard wood floors and handcrafted espresso drinks is just too much of a lure for this ad exec and freelance writer. Did I mention the free WI-FI? As I drove by, it called to me like a siren, and though this is my first time here, stockholder or not, I really like it. It reminds me a little bit of my first Starbucks. *Recapture the coffee house experience, complete with original decor, housed in unique buildings - preferably existing structures. Make sure there's character and soul as rich and diverse as the coffee poured. Embrace and fit into the diverse communities in which you do business in. Make me want to check out different Starbucks, when away from home, simply because every one is unique and special, but make me confident I can always depend on getting delectable and delicious coffee at any of them. *Localize by tying into the various communities, and supporting local causes. The bigger a company becomes, the smaller they need to act. Make it my Starbucks and I won't complain, within reason, about occasional price increases. Rather than discount the product, have an ongoing Coffee for a Cause campaign. Support local music and art. Yes, you'll be doing good, but it's also an effective form of advertising that works for brands like Starbucks. Please no more announcements or tests promoting low, low prices. 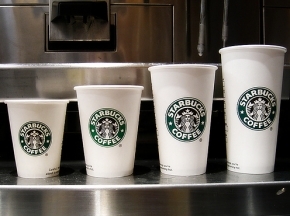 Starbucks is not Wal-Mart and you don't want to even enter a price war. If you want to do something nice for your customers, invest in their communities where they work, play and raise their families. *Focus on what you're famous for - coffee. I'm sure SBUX does not want to give up the drive thru, airport, grocery type business in an effort to recapture the coffeehouse business. I can appreciate that, we're talking about a lot of "bux" I believe you can dominate both; however, you need to make a clear distinction for the consumer, so they get exactly what they want. How about two entities: Starbucks Coffee House when you have the time and want the coffee house experience and your drink in a real mug. Starbucks to-go when you just need your Starbucks fix and you're on move. I believe they can co-exist; in my life, there is definitely room and need for both. *Warning - some things may be hard to hear, but pay close attention to your troops on the front line. Those baristas have the best take on the current state of Starbucks - more so than the "business experts" who are analyzing the stock and debating the future of Starbucks. Howard, I want you to know that regardless of all the unsolicited advise, I'm cheering you on! You've had my confidence ever since those early days with my three little stocks, I attended the stockholder meetings held at the roasting plant. It was inspiring. So that's why I know that you and a team of like-minded people can recapture the Starbucks magic that created that powerful, world renowned and envied brand. That "big brand" allows you to enter any sector of business you desire, but it doesn't belong everywhere and there are places it should avoid, because it CAN get hurt. In closing, I am trying to be loyal to Starbucks; however, you could make it a bit easier for me. Again, not that I don't have a budget, but why I strayed had nothing to do with the prices, but everything to do with "the coffee experience" to which you made me so accustomed. So, I cheated on you. But you need to take some blame here as well. You changed. You're not the Starbucks, I once knew. In my defense, I just wanted to try and capture what we once had. But don't worry, it's not too late. It'll take a little work, but you were the first one I fell for -you can still win me back. 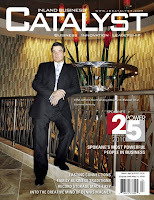 A simliar version was published in Inland Business Catalyst magaine (2008).